It’s been a while again, in amongst holidays, ITU shifts and reviewing portable ultrasound devices!! There’s more to come on the latter too. Loads has been going on, but this is a snapshot of some of what I considered to be the best out there in the world of FOAMed! Enjoy…. Absolutely one not to be missed. The big authors meet to chat about their big data. Amazing social and chance to network. Rob MacSweeny keeps this unique meeting going amongst his unbelievably busy agenda! Another not to be missed! Great faculty and amazing programme of topical lectures in a fabulous city. Come and join us. Day 2 sees a fabulous day of critical care ultrasound (I’ll be there teaching and helping to promote #learnpocus). Get booking as this sells out fast! Come out to London for what is set to be a blazer of a meeting! Steve Mathieu and the team have worked tirelessly to get this together….so register now! A fabulous programme organised by Dave Hall et al. I’m popping across to do a bit of a POCUS chat! Hope to see you there! A must read on IV fluid therapy! There are 3 names you would want on a paper about IV fluid therapy in critical care if it were to be the perfect article….and there are. Take a look at this brilliant work and this goes down, for me, as one of the articles of the year. Also…check out the echo images…recognise the contributors? How are we teaching them? It seems teaching lung ultrasound is, to say the least, heterogenous! This paper examines just this and the second table provides some brilliant insight as to what people are up to with this. Standardisation is needed…..some of us are working on just that as we speak! Are PPI’s the one…or H2 receptor antagonists? Leave them too cook or jump in and cool? A fascinating idea and worth a read….do industry sponsored or device oriented trials have better results then those that don’t…positivity bias? Anaesthesia is all the same…isn’t it? This is an excellent editorial from Anaesthesia on whether ‘any monkey’ can effectively deliver anaesthesia. But, as we all know, it’s certainly not that simple! Great work but Danny Wong et al – SPAP2 is out. So this is why operations are cancelled in the UK. Huge amount of great work by all concerned! Take a look at the thread and the repository too. Mind the gap….one of the best DKA reads! This is a fabulous review by Josh Farkas et al on the topic. Of particular note and joy to me is the fact that normal saline doesn’t really feature as a resuscitation fluid. I Tweeted about this recently too. Alteplase has been the vogue at times for minor stroke treatment…but is there any benefit over aspirin? Salim Rezaie and the crew at REBEL EM talk about the PRISMS trial. The guys are busy again, this time looking at the FiSH trial. Restricted Fluid therapy in early septic shock: results of the fluid in shock (FiSh) pilot trial. In children with septic shock, does a restricted fluid bolus volume, compared with a standard fluid bolus volume, improve outcomes? So, another TBL analysis on this great paper, looking at the implication on pre-hospital airway intervention had on outcomes in OOH cardiac arrests. This lovely post from Emdocs highlights why we should try not to give POCUS a bad name when utilising EGLS! Minimisation of Resus delays to get the perfect view have been a large bone of contention of late….they tell us how we can become more efficient with it and follow CASA principles (more on this here too). TB peritonitis like you never saw it before! Mowing the lawn and – boom! Probable Type A aortic dissection! Portal venous gas is a bad sign! Those bugs can totally disrupt your valves….so badly the tricuspid leaflets won’t even coapt!! Sometimes even 2D is enough! Massive atrial myxoma! Thanks to Khalid Albouaini for this. Check out this L atrium! Watch this from EMUSS. Adenosine seen swirling round the right heart then standstill….back to AF. Scary stuff to watch! You don’t want to see this in the OR! Bernadette Keefe points out this rather nice sepsis guidance. Thanks to Tom Fadial for pointing this out! Fab stuff from the POCUS Atlas. Hyperkalaemia beautifully illustrated on an ECG trace by Artibiotics! Take a look if you want to learn more about this popular parameter. Richard Muswell points out how important the front door is on prescribing…particularly in sepsis. Want to set up an ultrasound teaching programme – Tweetorial?! Fantastic thread on something I am certainly passionate about! 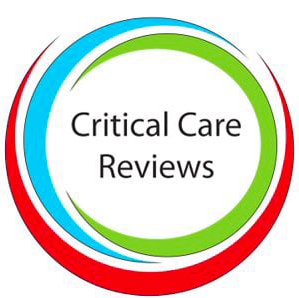 Check out the Internet book of critical care! John Thomas and Josh Farkas have started this project off. Great work!